Is Caused By Factors At Your Job, But You Don't Have To Change Career Just Yet! Your job could be full of potential hazards when you have eczema. Occupational Hand Eczema, or Occupational Dermatitis, occurs when aspects of your job affect your skin. Around 5% of men and 10% of women suffer. As the name suggests, in most cases it is found on the hands. Coming from handling anything that is an irritant. It can also occur on the arms and face. Symptoms are the same as Irritant Contact Dermatitis and Allergic Contact Dermatitis. Sore, red and itchy skin. If it becomes severe it can become raw and weepy. Do You Have An Occupational Hand Eczema Story To Share? There are certain occupations that are more prone to Occupational Hand Eczema. This includes doctors, nurses, dentists and vets. One of the main culprits are latex rubber gloves. Switching to latex free ones will help resolve the problem. There is also a lot of hand washing involved in the medical profession. Water and soap are damaging to the skin. Ways to help the situation is to make sure the soap is rinsed off properly. Also moisturise the skin frequently, using an emollient. Especially after washing. This will help limit skin damage. Washing hair can be a problem for a hairdresser with occupational hand eczema. Again, having hands in water frequently doesn’t help. The chemically filled shampoos and conditioners are a major irritant. If it is possible, wear latex free gloves to do this part of the job. Gloves would also be important to wear when colouring, bleaching or perming hair. The products used for these tend to contain strong harsh chemicals. Change the gloves regularly. When they are worn in a very hands on job they are likely to get damaged and split. Holes will start appearing. Chefs tend to develop a reaction to certain foodstuffs. Particularly onions, garlic and citrus fruits. The key again, is wearing latex free gloves. Kitchen staff are more affected by water and the products used for washing up and cleaning. Beware that the heat of a kitchen can irritate the skin, making it itchy. It is important to refrain from scratching. This just encourages infection, which is not ideal in a kitchen environment. The constant use of corrosive cleaning products will be agony for a sufferer of occupational hand eczema. Wearing gloves is the best way to stop contact. If you use spray cleaners or aerosol products it may be a good idea to keep the areas where you work well ventilated. Also try and keep your skin out of contact of the cleaner when it is in the air. Try and spray the product then take a step back away from the area, to allow it to settle. If there are some activities that aren’t practical with gloves, make sure the skin is washed and moisturised frequently. Occupational hand eczema could be an issue on a construction site. Dust is an irritant in any situation. On a building site the dust can contain cement, solvents, sealants and anything else used in construction. Any products used to clean up can also be an issue. The work is usually very physical, hands on work. Its easy to catch yourself on materials being used. Skin can get scratched and damaged. That can be painful in normal circumstances, but when you have eczema it can cause further problems. Keep the area clean and covered. 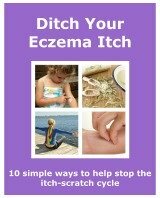 It stops infection occurring and your eczema worsening. You can develop occupational hand eczema from any job you do. Though as you have seen some jobs are more prone to it than others. 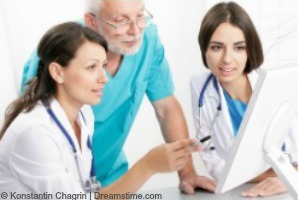 If you work in other environments, like in an office for example, you may not be immune. Air conditioning and heating can play their part. Both dry the skin, leading to damage, itching and then more damage. With all types of dermatitis it is helpful to know what causes a flare up. You could keep a diary of what you have been in contact with and where you have been. It helps to narrow down the possible triggers. Sometimes an allergy test is needed to help work out what your irritants and triggers are. When you know what causes the problem you should minimize contact. Talk to a manager at work to see how you could work together to limit the problem. For example, they may be able to provide protective clothing. You could also speak to a Health and Safety advisor, if you have one at work. They should be able to give you any information you need. It could be about your rights or any obligations you have to your company, and any that they have to you. Treatment is the same as in any type of eczema, especially Irritant Contact Dermatitis and Allergic Contact Dermatitis. If your eczema is severe and your job is affecting it then you may have to look into changing careers. If you love your job that may not be an option. And in these economic times it is more difficult than ever to do. So take all necessary precautions to limit contact with irritants and allergens. I started suffering from occupational hand eczema not long after I started my first job. When I left school I decided I wanted to train to become a chef. I had done some cooking at home but not on a day to day basis. I got a job at a staff canteen. I was going to train and study to get a qualification. I started off washing pots and preparing snacks, like toast and sandwiches. I first noticed a small patch of eczema on my hand. The heat was a killer for me. And along with all the other irritants, including cleaners, my eczema didn’t have a chance. It itched, I scratched. It itched more. It spread and got infected. I tried covering it with blue plasters but it spread very quickly and ended up covering my whole hands and wrists. It became impossible to continue using plasters. I started wearing gloves but at the time I had no knowledge of latex allergy. So the gloves just made it itch more. So my eczema just wouldn’t improve. In the end I was too embarrassed to have my hands on show. After a pretty short time I decided that catering was not going to be the career for me. Disappointing, but necessary. It was the start of severe eczema on my hands. Before that it was normally only a problem on my face, arms and legs. Even now, 20 years on, I have to wear latex free gloves to prepare food and to clean. But that is an easy option compared to treating severely infected eczema. If you have any occupational hand eczema suggestions or tips, then fill in the form below. Share your experiences with other visitors.